A variety of users enjoy Newport Harbor and a group of locals gathered this week to discuss how best to share it. Newport Harbor users discussed how to best share the harbor and communicate with other harbor users during a meeting this week. The discussion was moderated by Newport Beach native and longtime sailor Lars Berg, a senior captain with Hornblower Cruises and Events. The meeting was meant to discuss sharing the harbor and promote communication, Berg explained. “So we don’t end up yelling at each other when we can work with each other instead,” he said. The meeting, although not as well attended as some speakers would have liked to have seen at the “harbor summit,” went well and was productive, Berg said. The group of about 18 people only represent a small fraction of harbor users and stakeholders, one speaker estimated. There are a lot more residents and businesses out there who would benefit from a big group discussion about working together, he added. Overall, the meeting was a step forward in terms of sharing the harbor and communication, Berg said. “Even if it’s the same topics (as past meetings), it’s creating camaraderie that lasts and renews faces, names, phone numbers, to further that communication,” Berg noted. It’s important to keep up these relationships because as new rules or changes regarding the harbor come up – like the city taking over management of the moorings and hiring a harbor master – they want to share information and help keep everyone using the harbor up to date, Berg said. 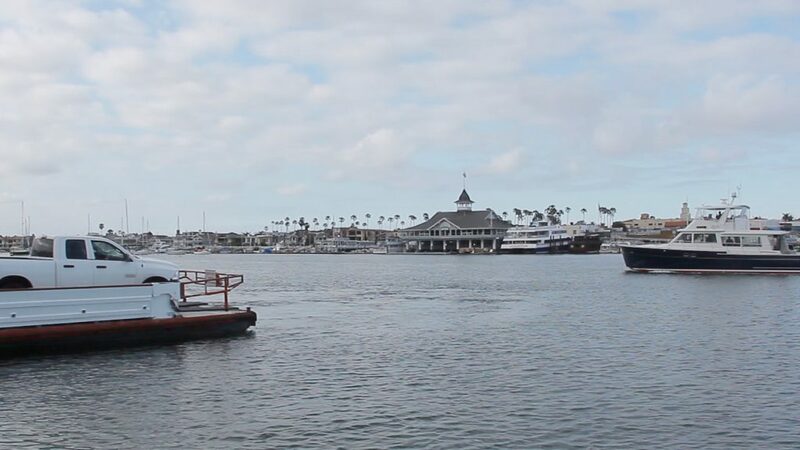 Newport Beach is moving toward a “friendlier harbor atmosphere,” in regards to interacting with boaters and other harbor users, Berg said referring to the organizational shift. The city’s new harbor master, Dennis Durgan, attended the meeting and spoke briefly about his new role and outlook for the harbor. His goal to make Newport Harbor better for everyone. “We all want people to have fun on the water,” Berg agreed. There was some discussion about stand up paddle board users in the harbor and the safety regulations that concern them, particularly inexperienced renters. “We’ve got to get that figured out,” Durgan said about the SUP issue. It’s not if, but when, a serious accident will occur between a SUP user and a boater, he added. 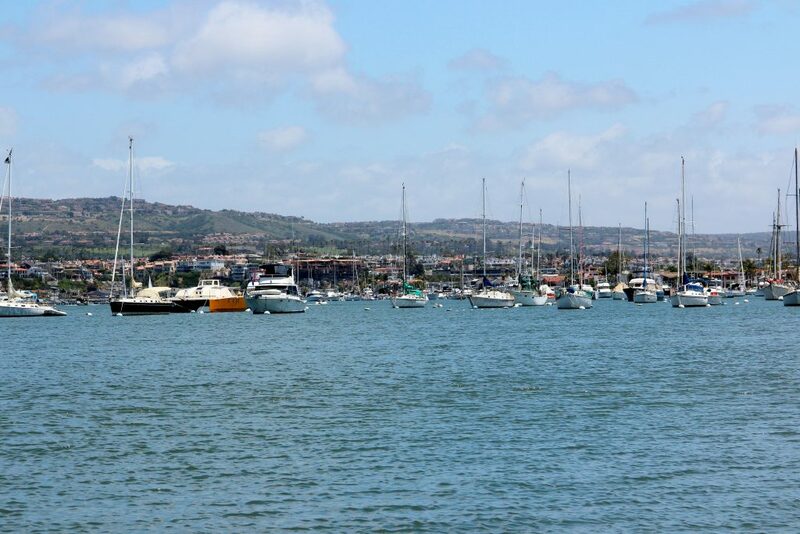 The topic has been on the mind of a number of harbor enthusiasts lately, including Harbor Commissioners, who have looked into safety concerns recently and compiled a list of suggestions to improve safety for SUP and other harbor users. A lot of talk also centered around noise in the harbor and the various efforts to combat the issue. It’s a unique situation because there are so many residents bordering the harbor, one audience member pointed out. 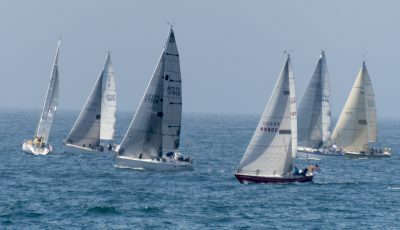 During the meeting, held at Marina Park in a room facing the harbor, a boat sped by, which caused the group to talk about speed limits, another concern of many. Other issues regarding rental boaters, beer can races and other events, and mooring permits were also raised. Represented at the meeting were personal boaters, charter boats, yacht clubs, the Newport Aquatic Club, the city and the Harbor Commission. The evening also featured harbor related updates from Newport Beach City Council, Harbor Commission, and the city’s Harbor Resources Department during the meeting.